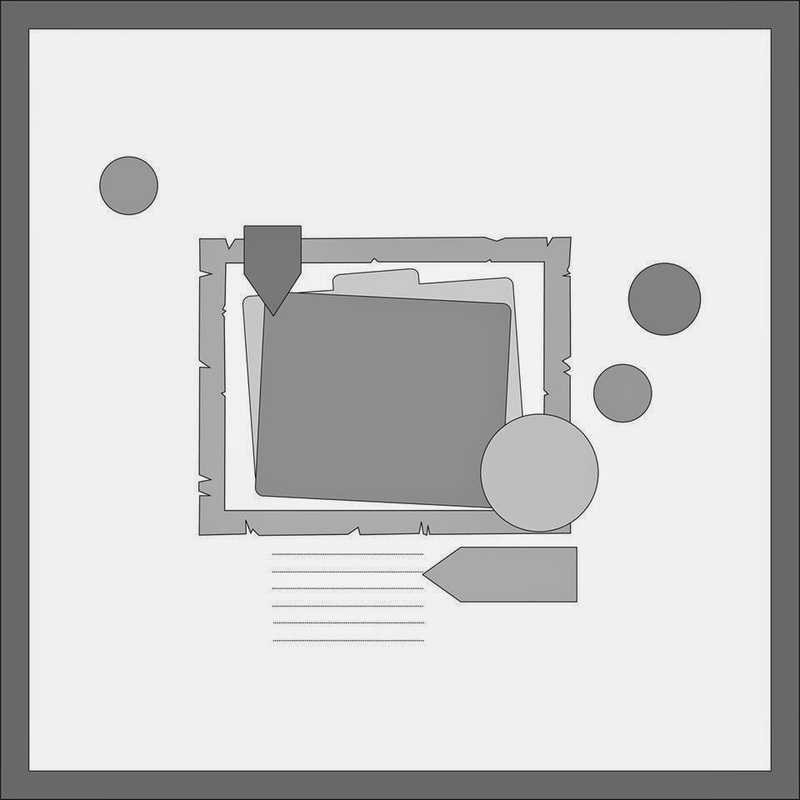 Hello Everyone I have the new case file from CSI for you today, so pick up your forensic kits and get ready to do some serious sleuthing. You have one week to play along and there are some wonderful prizes up for grabs. Here is this weeks challenge. Here is my take on both. Here is how I solved the case. Scheme - the colours are all there. Evidence - hearts, flowers, stamps, polkadots, stripes, pocket, quote. Testimony - write a letter, put your story in a pocket. I just love this photo of Spence... he watches his grandma all the time it is too cute for words. I decided to keep this layout clean. I think this is my real style. I wanted to keep it even more simple than this but it kind of ran away with me. The flowers are made with different sized and distressed circles. I think these are great for boys pages. I knew when I saw that photo that I wanted to use it with this quote. They just fit together perfectly. Loving all the layers and the colours are fab. I am not good at this white space type page. I admire yours though. I always have too many photos to use up to use just one, I guess that's why I am never left with any white space! 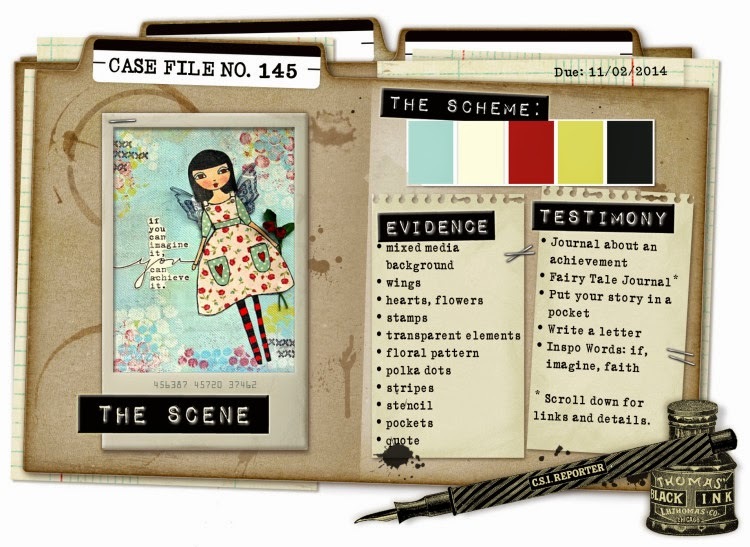 Great, fresh looking page, thank you for joining Scrap 365 challenge! Yes! Clean certainly works for you:) But then, so does messy......aaaah! Only messing with your head saying that, LOL....adore those big chunky black 'chevrons' ....& the bold red mixed in....& those flowers look great. Mine always look poxy. Might need to come to SA to take lessons;)!!! This is gorgeous! Love the neat feel to your layout and that photo is adorable! And with such a loving grandma I am sure your grand children will know how loved they are..
Ohhh what a wonderful page...I battle with white space as well so just might join Lizzy in some classes with you! I just love reading your wise words...always so full of truth and wisdom...this time the "Shoot for the moon. Even if you miss you will land among the stars." is just awesome!!! You certainly make clean look gorgeous, Love that super cute photo and your awesome layering! It all just pops against the whitecardstock. So much of beautiful details everywhere, but so much of white space. Your best work, Val, is your heart-felt work, and this one is no rare exception! The simplicity of this layout allows that beautiful photo and inspiring message to command center stage! Beautifully choreographed! Beautiful layers and those lollypop flowers are gorgeous. I love how you journal from your heart and agree that God gives big dreams so that we can grow in them.